Virtualization is a term the telecom industry has wrestled with for the past six years, since network functions virtualization (NFV) became a "thing," but it's time to move on, look at the bigger cloud platform picture and change the way the industry talks about software-defined, automated networking. That's the view of Fran Heeran, group head of Network Virtualisation, Cloud and Automation at Vodafone Group plc (NYSE: VOD). He's leading an effort, along with executives from Orange and other operators, to define what a telco cloud should look like and how vendors can develop products that could be deployed into any operator's cloud infrastructure. More on that later. Developing that definition involves communicating exactly what it is that operators want from their networks as well as their technology suppliers. Virtualization is no longer a useful term because, Heeran noted during a recent presentation at Huawei's Operations Transformation Forum event in Munich, "anyone can virtualize a legacy function, but it's no use unless it's cloud-native. So now we need to talk about cloudification, which includes useful virtualization. We need to change the vocabulary -- it's about cloud, not virtualization." And that cloud needs to be made open, elastic and automated -- not an easy task, but one he's expecting to accomplish with the help of a number of initiatives and industry support, much of which hinges around open source networking project Open Network Automation Platform (ONAP) , part of the Linux Foundation's Networking Fund. Vodafone's Heeran: It's all about cloud, not virtualization. 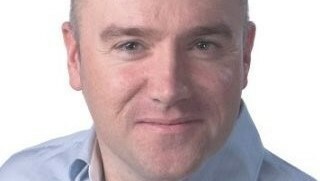 Heeran took over at the helm of Vodafone Group's telco cloud efforts from David Amzallag, who had launched and led the operator's Ocean initiative, about a year ago. Now, he says, the strategy has moved on. "The new world we are looking at, the cloud environment, needs a broader scope. We are dealing with workloads, and in cloud there are fewer differences between network workloads and IT workloads than there were in the past. There is much that is now common," continues the Vodafone man. "So now we use cloud as the term and we focus on our Network Cloud, into which Ocean has been subsumed, and our IT Cloud. And we also have to consider the public cloud -- the closer we are in an architectural sense to the public cloud, the easier that will make it for us." But total network/IT convergence is a way off yet, he notes. "IT and network functions are coming together, becoming more common, at a technology level … [but] there's still some way to go in terms of operational unity." Ah, the people/skills/culture problem that's causing so many operator headaches. And that culture issue is part of the problem that Vodafone and other operators face when trying to get the whole industry moving in the same direction. The operator is already working with the open source community, particularly via ONAP, in an effort to bring unity to key areas of platform development (but, of course, not everyone has signed up the ONAP world view as yet). "We joined ONAP because it was the one thing unifying efforts in the industry, so we looked at it from the view of what could be used, and what was useful for us." Now Vodafone's involvement in the initiative has developed significantly: Not only is it contributing code, but it's taking ONAP specifications to its supplier/partner community through its RFIs (requests for information). "We have started to define, in our RFIs, what we want the interfaces [used in their platforms] to look like. We have already communicated ONAP compliance to tech partners, whatever they are building. We want to see these interfaces in their products and we want them to let us know when those interfaces are in their product roadmaps."